Born in Tel Aviv in 1967, Etgar Keret is the most popular writer among Israel`s young generation and has also received international acclaim. His writing has been published in The New York Times, Le Monde, The Guardian, The Paris Review and Zoetrope. Over 40 short movies have been based on his stories, one of which won the American MTV Prize. His feature film Wristcutters (2006) also won several international awards, and $ 9.99, based on a number of his short stories, was released to critical acclaim in 2009. At present, Keret lectures at Ben-Gurion University of the Negev. He has received the Book Publishers Association`s Platinum Prize several times, the Prime Minister`s Prize, the Ministry of Culture`s Cinema Prize, the Jewish Quarterly Wingate Prize (UK, 2008) and the St Petersburg Public Library`s Foreign Favorite Award (2010); he was also a finalist for the prestigious Frank O`Connor Short Story Collection Prize (2007). 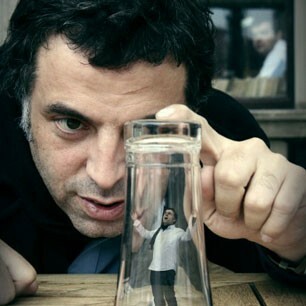 In 2007, Keret and Shira Gefen won the Cannes Film Festival`s "Camera d`Or" Award for their movie Jellyfish, and Best Director Award of the French Artists and Writers` Guild. In 2010, Keret was honored in France with the decoration of Chevalier de l`Ordre des Arts et des Lettres. His books have been published abroad in 31 languages in 35 countries.